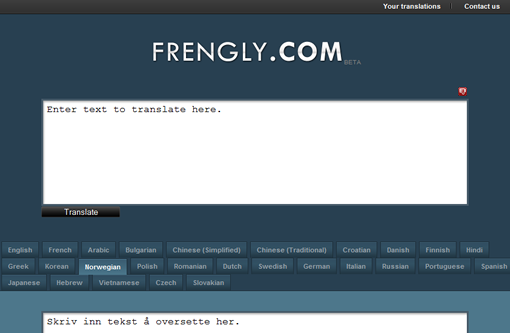 Frengly is a free translation service that is based on Google Ajax Language API. I don’t know why people wants to use Frengly instead of Google translate itself, the only advantage of using Frengly over Google translate or Live translator is it auto detects the text language you input in to the box. One possible use for this app is, when you want to translate text in unknown language to your language. Google translate doesn’t support language detection yet, although API has a class for that.